Capri has been around for decades in our lives. 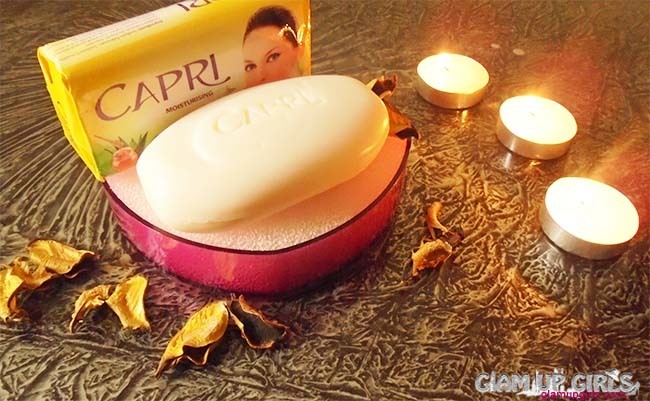 Capri Moisturizing Soap with Aloe Vera, Honey and Milk Proteins has been re-launched this year. With their product launch they are encouraging every one to be confident in their own skin which will make them feel naturally beautiful and help them make the right decision for themselves every step of the way. I strongly agree with their message as we should not feel or make other feel down about their skin color. Every one have a unique beauty in their skin which is just needed to be taken care of. I have recently received a beautiful basket containing their recently launched soap with some other goodies. In today's post i will share my thoughts on this soap and show you other things i got from them. 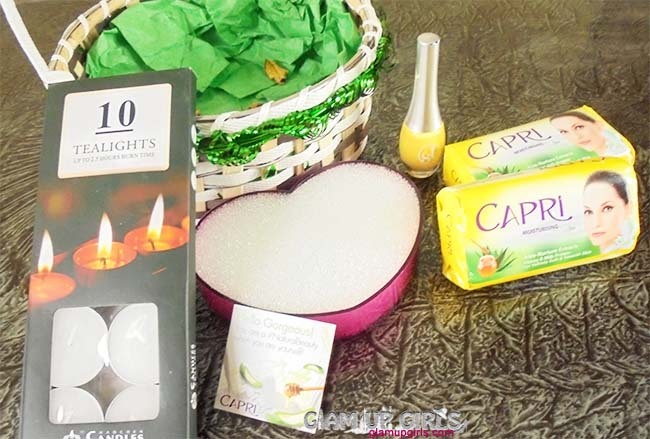 In gift basket i was sent 2 Capri moisturizing soaps, 1 packet containing 10 small candles, 1 soap box and 1 yellow colored sweet touch nail polish. I have been using this soap from 1 week and today i will share my thoughts on this soap. Capri has been touching the lives of confident women like you for decades. Your gentle skin needs gentle care. 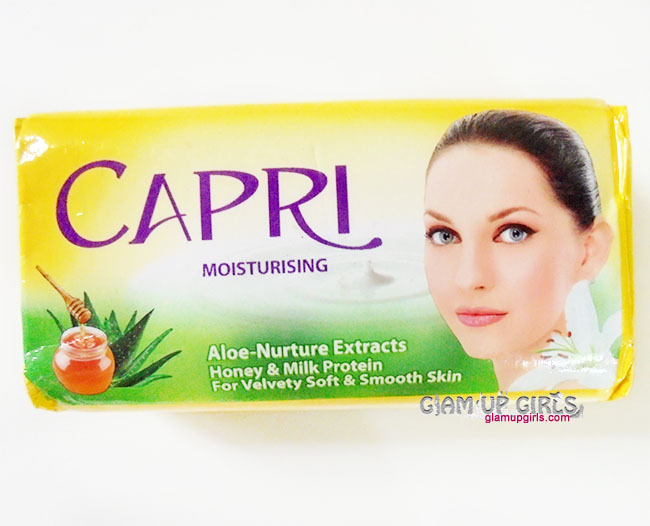 It is for this very reason that Capri draws on the finest of natural ingredients, to take good care of your skin in every season,so that you look, feel and smell fantastic. I have dry skin so mostly i avoid using ordinary soaps because they make skin more dry with their harsh ingredients. 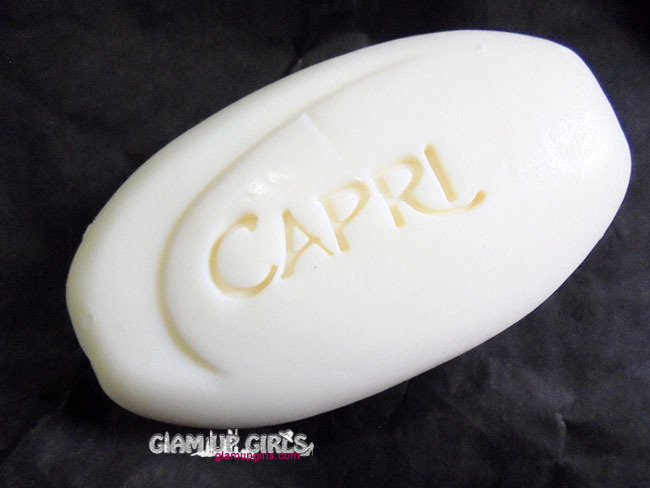 As Capri claims that they have used all natural ingredients like honey and milk protein and this soap is moisturizing, so when i got this soap i decided to give it a try. The first amazing thing about it is its smell. It smells really good which is mild but very refreshing and stays quite long after using it. This soap is not very hard and is soft textured which is good but at same time it will melt early and will finish soon. It lathers very well and the less amount is enough to wash off face or hand. Since i am using it for 1 week i must say it is not drying at all. With ordinary soaps once i wash my hands i instantly need a moisturizer but with this soap i can avoid using lotions on hands if i want to. Most of the moisturizing soaps will leave a greasy feel after washing but it is quite good in that case as well. Even though it doesn't dry my skin but it doesn't leave any greasy feel. Instead it cleans quite well and leaves the skin soft and clean plus with amazing refreshing feel. Overall i would highly recommend this soap to them who loves to use soap in their routine. It is non drying, budget friendly and have lovely scent.